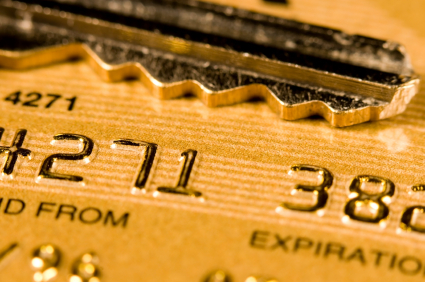 You have always used credit cards with a lot of discretion and responsibility. You never made expensive purchases with credit cards and paid back your dues in time. But one day you just choked when you found out that you have exhausted the credit limit. There were all kind of items in your credit card statement but you brought none of them. Why did this happen? Well, to put it simply, you were a victim of credit card fraud. This can lead to serious monetary loss and compel you to look for credit card debt attorneys. Make sure that the seal is not tampered. Do not forget to add your signature on the reverse side of your card. To protect you from credit card fraud, you are provided a CVV number by the credit card company. This is a three digit number printed on the back side of your card. If anyone gets to know this number then he can make online purchases (where the physical presence of the card is not required) using this number. To keep this number a secret, you should make sure that transaction processes are completed in your presence. If you need to provide a photocopy of your credit card to someone then leave out the side with the CVV number. Before the transaction check whether the connection is encrypted or not. This means, the URL of the concerned webpage should read like https://www.xyz.com instead of http://www.xyz.com/. The https:// stands for a secure connection where hacking is not possible. Be sure that the website is completely safe. You can visit siteadvisor.com or mywot.com to check the reputation of the site. Do not give your credit card details to sites you don’t know well. Phishing emails are all over the place these days. They would pose as legitimate businesses and ask for sensitive information like credit card details. Mark them as Spam and do not reply to any email which you do not recognize. Beware of clone sites. These sites resemble legitimate and trustworthy sites and deliberately deceive people. Upon visiting, they would tempt you to shop with your credit card and subsequently steal your money. Monitor your account activity regularly to detect suspicious activity. You can use mobile alerts, offered by almost all financial institutions, for this purpose. It is cheap as well as useful. Take caution before disposing your expired credit card or any document that mentions your credit card number. It is best to shred documents before you throw them into the trash can. Remember that if someone has enough sensitive information about you then he can also apply for a credit card in your name and start purchasing things. You need to be a prudent and responsible person to keep the frauds away from your money. So remember what you have read to protect yourself. Good luck.